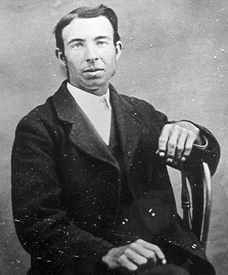 At the end of the XIX century, a young farmer Wilson Bentley came up with the idea of photographing snowflakes. He eventually devoted his entire life to this occupation. Wilson Bentley was called “Snowflake” in his hometown of Jericho, Vermont. In an interview given to a certain magazine in 1925, “Snowflake” Bentley said that he once looked at snowflakes under a microscope and found that they were miracles of beauty, and thought it was a shame that this beauty could not be seen and appreciated by others. Each crystal was a unique masterpiece of design. But when the snowflakes melted, that unique beauty was forever lost. They were just here, and then suddenly left without a trace. To take a picture, Bentley stood in a blizzard on the doorstep of his house with a black tray so that he could see the snowflakes falling into it. He then transferred them delicately to a glass slide and photographed it through a microscope. 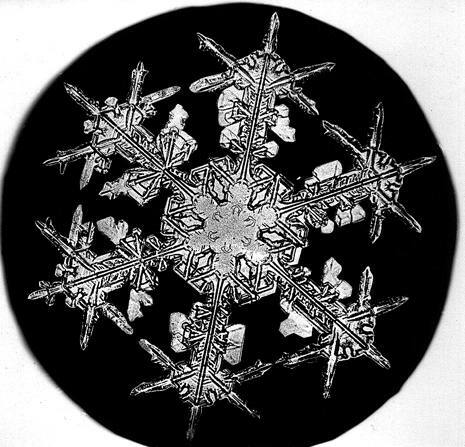 For his entire life, he made over 5,000 photographs of snowflakes. Wilson Bentley’s book on photographs was released in the US in 1931. In the same year, the photographer died on his way home under a severe snowstorm. In Jericho, there is a museum dedicated to him called Bentley Museum. It houses famous photos of snowflakes: http://www.snowflakebentley.com/snowflakes.htm. Several years ago, 10 pictures were auctioned for $4800 in the US at Antique Salon. But the issue here is not the value of these photos but the fact that they were made by a man unique for his touching obsession.